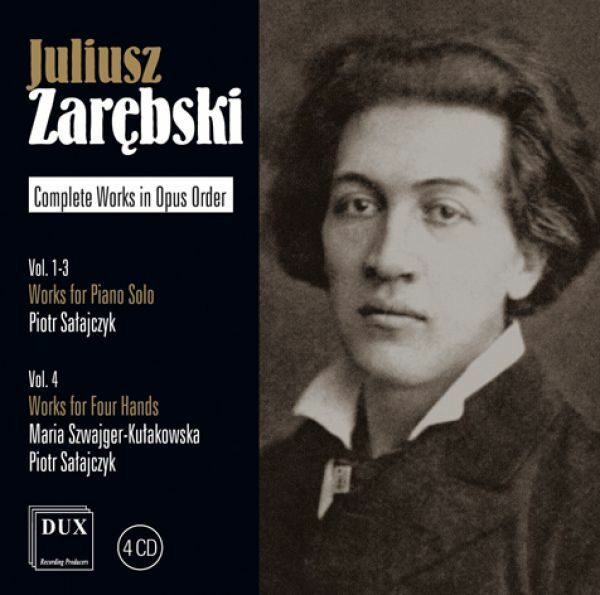 Juliusz Zarębski Complet Works in Opus Order - Good start for polish music. We present a four-CD publication including all compositions by Juliusz Zarębski according to opus numbers performed by Piotr Sałajczyk. It is the first complete recording of Zarębski’s published compositions - nowadays, one of the least known Polish pianists and composers of the 19th century. His premature death ceased his great developing artistic career. The artist from Żytomierz was connected with the most relevant musical centres of his times, while he perfected his compositional abilities under the eye of Franz Liszt himself. The listeners will certainly observe an influence of Fryderyk Chopin’s works on Zarębski’s pieces, each time finding more mature compositions on subsequent CDs, extracting virtuoso threads from the salon piano art and drawing abundantly from folk stylisation. Chopin. Complete solo piano works in opus order.